With some commodity prices on the rise, and continued economic woes, some businesses are holding retail prices and reducing margins. Associated British Foods, which includes the low price high-street retailer in Primark (UK/Ireland and some European countries) is an example. In late April 2011, the company reported it wished to absorb material price increases rather than pass them on to end-consumers. Increasing sugar and cotton prices reduce the company’s margins. However the CEO reported that the company did not want to relent it’s status as a low price retailer in the clothing sector. It is right that absorbing increasing in price of raw materials by manufactures will help to consumers to maintain their budget. 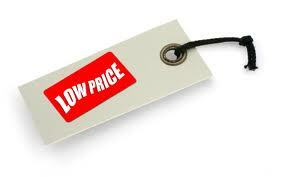 by increasing prices may be number of existing customers will reduce.